Does anyone have much hands on experience with chipper/shredders? I’m talking the big boys! We have a ton of very tall (probably 40 foot plus) old trees at Kilbourne Grove, and branches come down off them every year. I could take them to the recycling centre in Owen Sound, but I really would like to use the ensuing results for mulch in my garden. 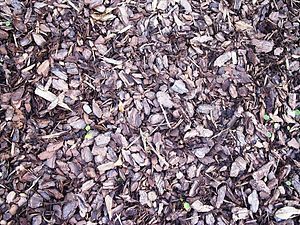 As I am only up weekends, I really rely on a wood chip mulch to keep the weeds to a minimum. And leaves, I have LEAVES!!!!! I assume that I will be able to shred the multitude of leaves produced every year in one of these machines as well. There seems to be two main players in the chipper/shredder game here. Troy-Built and Echo Bear Cat. I am not sure who makes the better product, so I am hoping for some feedback. If you have any experience with either of these two companies or chipper shredders in general, please leave me a comment.